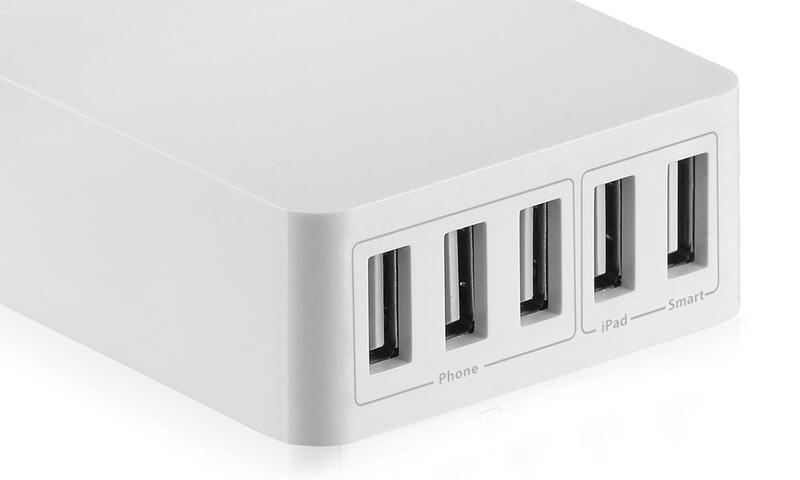 With five ports to go round, place it on your desk, nightstand or countertop and create the perfect charging hub for your family. 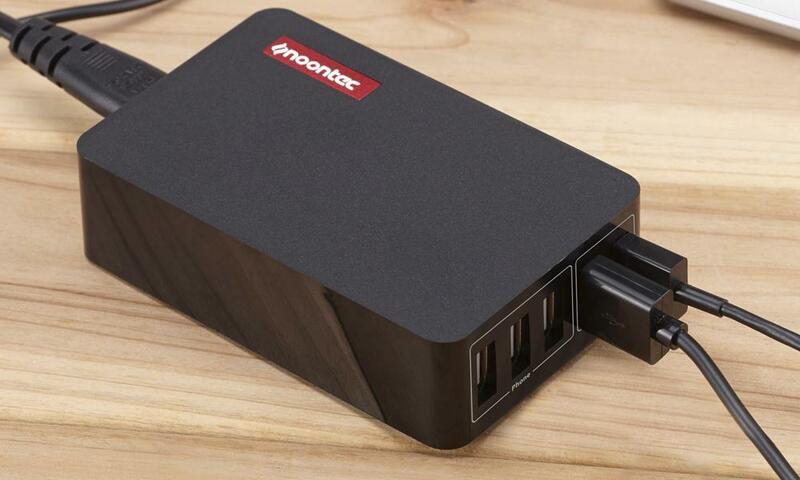 This product can recharge most mobile phones and tablet PCs. Fully supports the charging of a variety of mobile phones, tablet PCs, digital cameras, MP3, DV and other digital equipment. 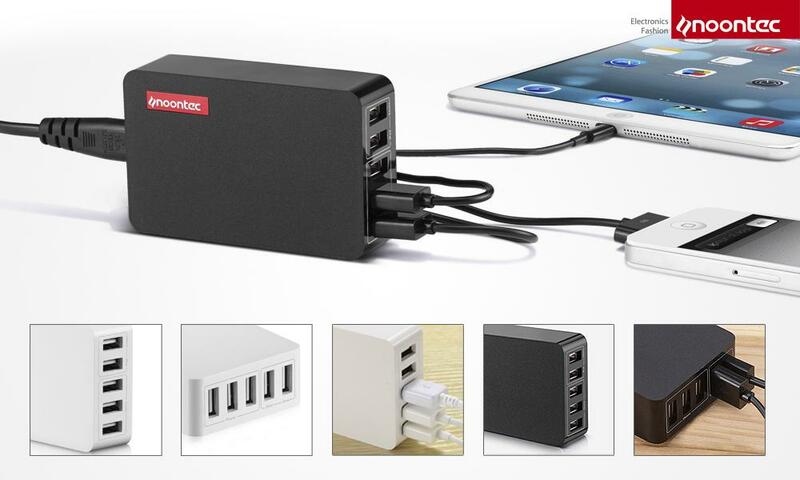 It supports the iPhone 6, iPad Air, iPad mini, Galaxy S5, S4, S3, and Note 2, HTC One and so on. Charge 5 devices, but occupies only one power outlet, which will make your desk environment more aesthetically pleasing and neater. ChargeSmart Technology: Detects your device, and delivers the fastest charge. Not all charging ports are created equal. Standard ports only charge some devices at full speed and others often really slowly. But with ChargeSmart technology, the smart port intelligently identifies your device to deliver its fastest possible charge speed. Save you hours of time. 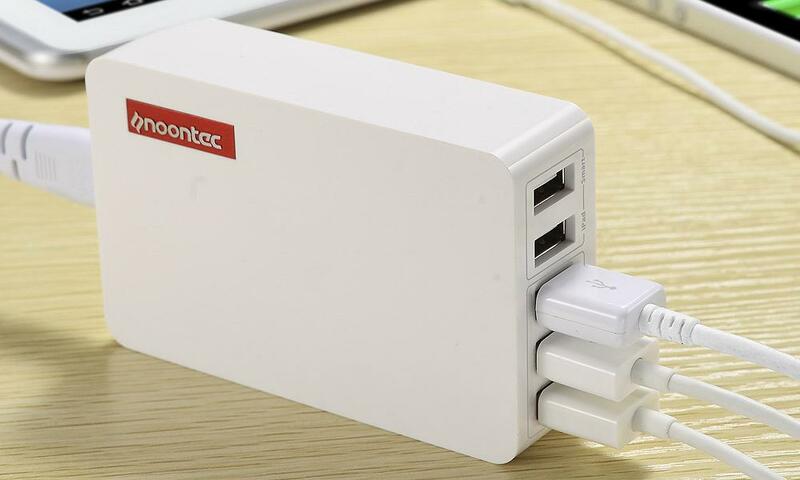 Output power up to 25W, it can charge 5 devices simultaneously. Products using 100V ~ 240V input voltage can be adapted universally. As small as a pack of cards, as light as a baseball and as easy to pocket or pack as your wallet.